1. 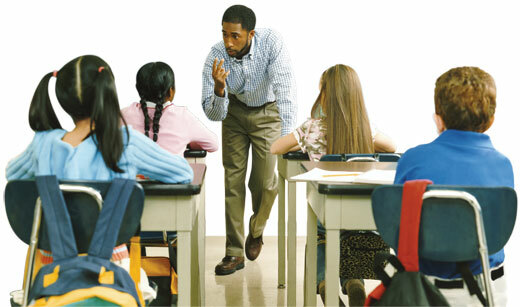 Effective classroom management is proactive, not reactive. 2. In effective classrooms, management and instruction are interwoven. 3. Students are active participants in the learning environment. 4. Teachers working together synergistically help one another. COMP brings these principles together in a valuable workshop experience to help teachers develop a framework for solving problems and making decisions that work with their own students. No single management plan, format, or strategy works for all teachers and in all classrooms. Therefore, each participating teacher integrates research findings, principles of best practice, peer suggestions, and their professional experience and expertise to build an effective learning environment in his or her classroom. The Level One COMP Workshop is designed for classroom teachers, administrators, and other school personnel to explore key principles of effective classroom management. The certified COMP Workshop Leader (see Leader Locator) presenting this workshop models the best practices highlighted in the program. The Level One COMP Workshop is preferably a three-day session followed 6-18 weeks later by a single day (18-24+ contact hours); a fifth day of advanced level work is optional. Teachers who have completed a COMP Level One Workshop and have successfully implemented COMP concepts may participate in a Level 2 COMP Training of Trainers (5 day workshop) to seek certification as COMP Workshop Leaders within their districts. To get started in the COMP Program, please call us at (615) 322-0603 or email us at contactus@comp.org for more information.